unless you live in Mississippi. unless you are with the U.S. Army, the U.S. Coast Guard, the Mississippi State Police, the Ohio State Patrol, the U.S. Department of Homeland Security, or the U.S. Customs and Border Protection. unless you are a United States Veteran seeking a job with a Top 100 Military Friendly Employer. unless you work for the Department of Defense and know the list of very select companies that have achieved a 100% on-time, on-budget, and on-quality delivery record. unless you are an economic developer seeking case studies where one successful manufacturer acted as a catalyst to bring multiple companies to an area, transform the job market, and connect multiple communities. If you are a part of any of these groups, you may already have joined the growing ranks of people, companies, and organizations that know Airbus for helicopters. 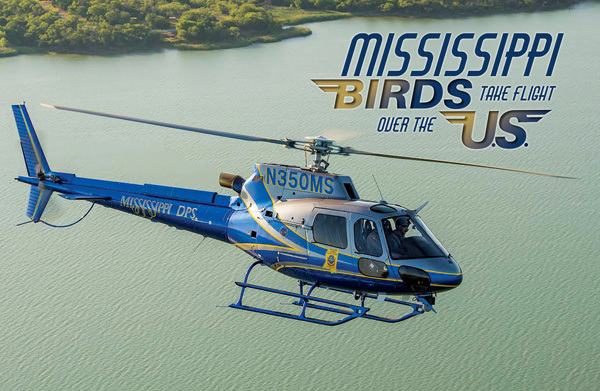 One of Mississippi’s state birds can be seen flying the skies regaled in blue and gold, and emblazoned with the seal of the Mississippi State Police. The H125 helicopter joined the Mississippi State Police fleet in June 2014, with a gubernatorial ceremony and christening. The aircraft is not just a highly functional part of the Mississippi State Police fleet, it is a symbol of one of Mississippi’s shining stars in the manufacturing community. Airbus is known worldwide for the planes that it produces. American Eurocopter (Airbus) helicopters are now known on a national and international scale. And the crown jewel for their manufacturing operation is the 58-acre, 330,000-square-foot facility in Columbus, Mississippi. Adjacent to the Columbus, Mississippi airport, the Airbus Helicopters’ plant is responsible for over 1000 aircraft departing their flight line, creating hundreds of jobs, and anchoring the manufacturing community that has helped transform the manufacturing segment of Mississippi’s Golden Triangle, composed of the cities of Columbus, Starkville, and West Point, into the economic success that it is today. Mississippi’s Airbus Helicopters manufacturing operations began in 2003, and housed a Light Assembly Line (LAL) until 2006. Parts were assembled and then disassembled in France, then shipped to Mississippi for reassembly. 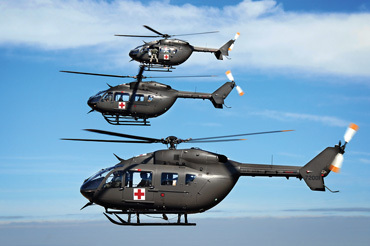 The U.S. Army Lakota helicopter contract was awarded in 2006, and in 2007 Airbus had completed expansions and upgraded to a Full Assembly Line (FAL) that allowed the full production line to engage. The plant now has full assembly lines for both the H145 Lakota helicopter and the H125 A-Star helicopter models. The Mississippi plant location, chosen for the overall cost of doing business as well as an able workforce, has grown from 33 employees in 2006 to over 200 full-time employees today. The current staff includes over 70 licensed Airframe and Powerplant (A&P) mechanics, two FAA Designated Airworthiness Representatives (DARs), pilots, and test engineers. The U.S. Army also stations inspectors and pilots onsite to inspect and oversee operations for the H145 Lakota line. The dual-engine Lakota helicopters coming off of the Mississippi line are used in training operations for all U.S. Army helicopter pilots going through military flight training. The American-made Lakota helicopters can be equipped with numerous packages, from training lasers to combat gear, and can be finalized on site or after delivery to the client. Literally every new U.S. Army helicopter pilot trains in a H145 Lakota helicopter manufactured in Mississippi. The A-Star helicopter, formerly named the HS350, is highly versatile. The H125 A-Star is used by law enforcement, highway patrol, air medical, U.S. Department of Homeland Security, U.S. Customs and Border Protection, and civilian businesses, including air tours. In order to build a manufacturing operation like Airbus Helicopters’ has achieved, you have to have an able workforce. Access to that workforce was one of the reasons Airbus chose to locate in the Golden Triangle area. Airbus Helicopters found that Mississippi had a high number of trained aircraft workers, many of them military veterans, which enabled them to move in and set up a facility that produced high-quality helicopters and empowered them to meet commitments made to customers. Airbus Helicopters purposefully situated its operations in a higher education-rich region. The company is able to recruit talent and develop collaborations with the local learning institutions, including Mississippi State University, East Mississippi Community College, the University of Alabama, and Mississippi University for Women. Airbus Helicopters has partnered with East Mississippi Community College to develop 6-week courses in avionics and sheet metal that lead to On the Job Training (OJT) opportunities at the manufacturing plant. Those candidates who are successful are promoted to technicians, and some have even turned out to be among Airbus Helicopters’ top technicians. The company has also engaged in a vocational program with New Hope High School, a local high school, that enrolls five to six students per year. That is another program that can lead to apprenticeship, and ultimately a position at the plant. Airbus Helicopters welcome qualified veterans from all military branches to their labor force and has been recognized by G.I. Jobs five years in a row as one of the Top 100 Military Friendly Employers®. In fact, just over 40% of full-time employees at Airbus Helicopters are military veterans, including the company’s director and site manager, Robert Boman. Boman retired from the U.S. Air Force in 2008 and joined Airbus Helicopters just one week later in a recruiting role. He now leads the Columbus, Mississippi, operation. As a way to achieve continuous improvement in the company, Airbus is committed to a strategy of continued development of its employees. They believe in developing talent from within. Self-improvement and employee involvement is regularly encouraged, and an annual engagement survey helps add structure to the practice. It is worth noting that Airbus Helicopters is able to satisfy approximately 72% of its workforce needs within the Golden Triangle. Many of the remaining 28% are from West Alabama’s Lamar County. Airbus Helicopter’s hiring practices and company culture have resulted in an incredibly low rate of employee turnover. Low employee turnover is an indicator of a successful employer-employee relationship. American Eurocopter (now Airbus Helicopters) was interested in expanding their operations in 2003. The company was recruited to the Golden Triangle area by the local economic development leadership and (then) Governor Haley Barbour and his team. In the Golden Triangle, American Eurocopter found a manufacturing-friendly state with a low tax base, good skill sets, and colleges all around. 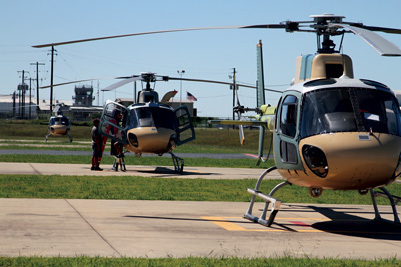 Once recruited, American Eurocopter became a catalyst in the Golden Triangle Airport Development that paved the way for other companies to locate there. Companies including diesel engine manufacturer Packar, steel manufacturer Steel Dynamics, and drone manufacturers Stark Aviation and Aurora have now joined the Golden Triangle manufacturing community. There are now 2,500 companies in the Golden Triangle Airport Development. Thanks to the economic development that has occurred since 2003, there is a new category of jobs in the over $60,000 range. Airbus Helicopters has developed a culture of commitment and quality. Their 100% on-time, on-budget, on-quality delivery record lives up to the highest standards. They have led the way for best hiring practices and have been a catalyst for economic development in Mississippi’s Golden Triangle, which has led to thousands of jobs. Columbus, Mississippi, has become the center of industry for Airbus Helicopters. Today, in addition to airplanes, Airbus is now known for helicopters. The next time you see a helicopter take to the skies, know that it may have taken off first in Columbus, Mississippi. Those who know helicopters, know.